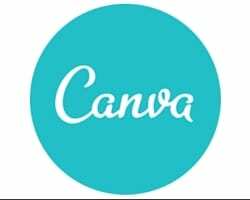 Since its inception in 2012, Canva has quickly become a globally popular online platform that has more than 6 million users on their website with more than 38 million images uploaded by users and 30 million designs. Almost 40 percent of Fortune 500 companies and more than 200,000 companies implement Canva in one way or another. Here at Green Chilli Marketing LOVE Canva, and here is why you will too. wide array of options and tools. The fun thing is not only can create your own designs but you can use your own use images and you don’t need to be a pro to learn how to do it! 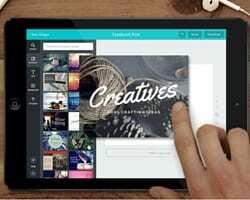 Customers are given free access to Canva’s tools, including fonts, filters and images. 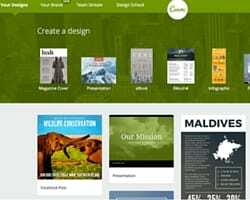 How can Canva work for me? If you are the owner of a small business, then marketing your products should be the most important agenda on your list. But for good marketing, you need excellent advertisements and images. Your brand and marketing collateral need to look as professional as the bigger companies. And where do you get your hands on such material? Most business owners hire professional graphics designers to create their advertisements, posters, and marketing material. It can be quite an expensive exercise, especially if you are a start-up company with limited financial freedom. But, there is an easier way for you to save on your marketing dollar and create these materials in-house, and this is where Canva steps in. Canva helps you create professional marketing content, including social media material, graphics for your website, beautiful posters, invitations, and even multiple-page presentations that will help your business develop that professional edge over your peers. The program works on a freemium business model, which provides free tools and access to images as well as offers paid designs, a marketplace specific for designers, and design tools created especially for companies. The content Canva provides for you to work on is crisp, clear, and great to work with. The content offers you a multitude of options that you could experiment with before you settle on a design that suits your product and business best. Once you have gotten around to using the program, you can access Canva’s abundance of beautiful layouts, templates, images, fonts, and pictures to create your own professional marketing content. Or you can begin to upload your own images and logo’s and create some beautiful material you can begin to use straight away. Canva has also created applications for your smartphones which provide you with complete access to the program’s tools and image libraries. The beauty of this means your creative inspiration is not limited to stock photo’s and your desktop. As well as having access to Canva’s images library’s, the smartphone app allows you to capture images on the go, and create professional marketing material as it happens. Canva has created “Canva for Work,” which is targeted to businesses. Through this platform, designers can upload pre-made templates of different file formats that include the company’s logo so other people of the organisation can access them via a shared folder and customise them accordingly. The company website also includes the Designer Marketplace. This platform allows designers to exhibit their work and also sell them to interested users in the community. One of Canva’s unique features is its drag and drop option. This allows you to add and remove elements from your design without any difficulties. The program shows you live orientation guides that help you assess your work as you drag objects around the screen. Canva has also released “Design School,” which hosts a wide collection of free educational content that includes a daily blog, workshop materials, and tutorials for users to learn how to master Canva and get the most of it. So, if you are looking to gain a competitive edge with your marketing material but struggle with design, then without question, Canva is for you. Why not head on over and see how easy it can be to put a professional stamp on your business.